Akudo Oguaghamba is Founder and Executive Director of Women’s Health and Equal Rights Initiative (WHER). Akudo is a committed human rights activist and defender who is very passionate and committed to the advancement of social justice, especially in the area of sexual rights and gender equality. WHER is a non-profit organization focused on promoting the well-being and protecting the rights of Lesbian, Bisexual and other sexual minority women (LBSMW) in Nigeria. Akudo is also on the Steering Committee of the Solidarity Alliance for Human Rights (SAHR), Nigeria. This Committee is a coalition of organizations and individuals working to advance the rights and promote the well-being of LGBTI people in Nigeria. 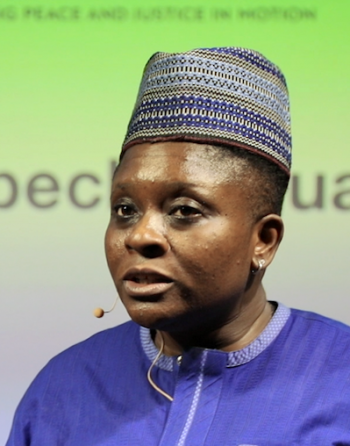 Akudo is also the co-chair of PAN-AFRICAN ILGA- International Lesbian, Gay, Bisexual, Trans and Intersex Association (PIA).